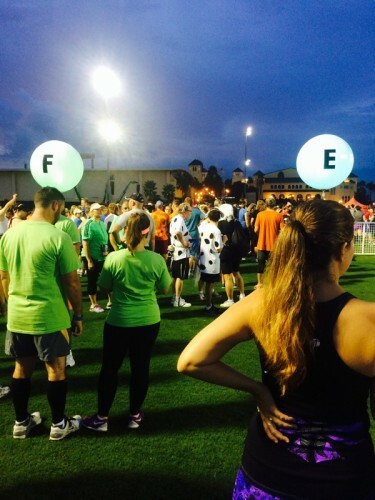 Costumes are a BIG part of running a Disney race. Some people go all out with very elaborate costumes, some enhance their running gear to represent their favorite character, and some (like me!) just like to take it all in. I love to hear when first time Disney runners get in the costume spirit even before they’ve experienced the festivities first hand. 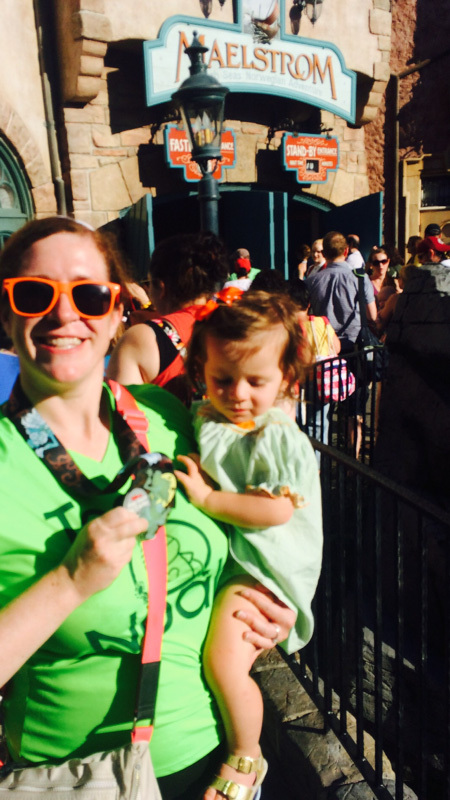 This month Colleen ran her first Disney race, the Happy Haunted 5K Trail Run, and put together a fun costume out of items she had on hand. Here’s her story along with some tips on how to create a fun and inexpensive costume of your own! 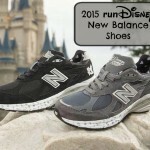 I became interested in runDisney this past summer. Many of the races for this season had already filled, but I was able to get a spot running the Happy Haunted 5K for a charity during The Twilight Zone Tower of Terror 10-Miler weekend. Initially, I planned not to run in costume. I just wanted to wear my normal workout gear. But, when I purchased tickets for Mickey’s Not-So-Scary Halloween party, I noticed a girl wearing a Minnie Mouse costume on the Disney website, and I thought it was so cute! So, I decided to dress up for the party. I began searching for a skirt online, then I realized my party costume could easily transfer to a race outfit. The only items I had to purchase were the skirt and yellow crocs to imitate Minnie’s yellow heels. I already owned a black tank and black biker shorts. The only lingering issue was Minnie ears. I was reluctant to wear a headband with ears because I suspected it would fall off or distract me somehow. I even briefly considered buying clip-on ears. About two weeks before the race, I realized I could put my hair in two buns, high on each side of my head, for Minnie ears. That seemed like the easiest, cheapest, and most comfortable option. I set out my entire outfit the night before the race so I could get ready quickly, although one of the best features of the Happy Haunted 5K is a 7:30 a.m. start time, later than most runDisney morning races. I didn’t have to be on a bus until 6:30 am. Another major advantage is starting at the ESPN Wide World of Sports because there is a lot of covered/indoor space to wait. It was drizzling, but that was never a problem because I could easily find shelter. While the restroom lines in the stadium were long, the Jostens Center (expo site) was open and there was no wait for the restroom. While I was stretching, a little girl pointed at me and said “Minnie!” I was so excited that she recognized my running costume. At the same time, I noticed more and more costumes on other runners, and I started planning for the future! About 7:15, I walked to my corral, which was the fifth to start. I have read a lot about how crowded runDisney races are, but that was not my experience with this race. After half a mile, everyone spread out comfortably. My only disappointment was the lack of theming. This race is a trail run, away from the parks. There were a few character photo ops and two “decorations” (a truck covered in cobwebs and some spiders dangling from trees). 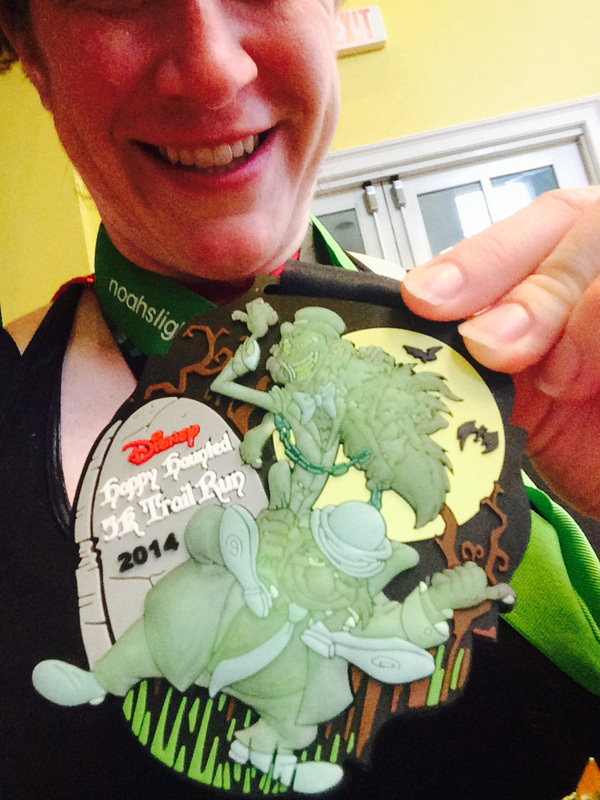 But, I think runDisney could have done much more to enhance the course with Disney/ Halloween features. 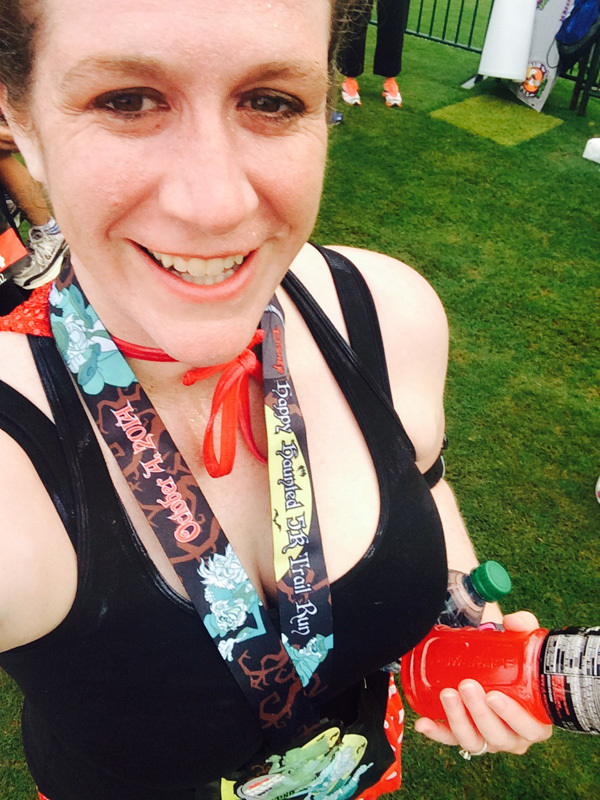 Still, the finish line energy was wonderful, and I was so happy to receive my medal, which featured the hitchhiking ghosts! The snack box was more than adequate, and I appreciated the water, Powerade, and bananas. I decided against asking my family to come to the finish line, so I left the post-race festivities pretty quickly. When I think about my experience, one of the biggest surprises was my excitement about dressing as a character. Two months ago, I considered a costume to be an impediment, but now, I am writing a blog post about my costume experience! The most important lesson I learned was that a running costume does not have to be expensive, elaborate, or uncomfortable. If you would like to dress up, consider your character’s major colors. Ask yourself if you already own any items that could work for your costume. For example, I already own a blue tank and a red cape, so if I want to dress as Snow White, I only need to buy a yellow skirt and a red hair ribbon. I have marked my calendar for November 2015 for the Wine and Dine Half Marathon weekend. Will I dress as Snow White or Princess Anna? I have a year to decide! I like to do a themed outfit, but I don’t think I will do a full costume for the Marathon. I will have too much on my mind and don’t want to be distracted by one more thing.